THE Reserve Bank of Zimbabwe (RBZ) has formally instructed banks not to question people returning externalised funds and assets for the next three months. President Emmerson Mnangagwa last month gave individuals and corporates a three-month moratorium to return any money and assets they may have externalised. The amnesty period runs from December 1 to the end of February next year. Last week, the President said he will name and shame culprits who do not heed his call to return externalised funds in March. In a statement, RBZ Governor Dr John Mangudya said the apex bank came up with an administrative arrangement to cater for those returning externalised funds. He said those who externalised funds would have to file a confidential report for administrative purposes, while cementing the President’s call that no questions should be asked. “Pursuant to the amnesty in respect of illegally expatriated foreign exchange and assets (gold, precious stones, currency, securities) granted in terms of the Presidential Powers Temporary Measures (Amendment of Exchange Control Act Regulations, SI 145 of 2017) the Reserve Bank of Zimbabwe wishes to advise of the administrative arrangements that will apply for repatriation of the expatriated foreign exchange and assets during amnesty,” said Dr Mangudya. “The administrative arrangement will also apply to legitimately expatriated foreign exchange and assets.”Dr Mangudya said culprits should not be asked any questions at banks, but would have to fill in a confidential form obtained from financial and exchange institutions. Illegally expatriated foreign exchange and assets should be declared to the bank or affected person’s bankers on a no questions asked basis,” he said. 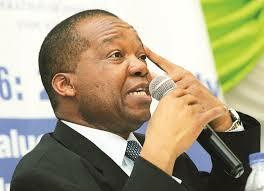 “An application for amnesty should be filled with the bank or through the affected person’s bankers and such application will be treated with confidentiality.” Dr Mangudya said the application form was available upon request from the bank’s Exchange Control Department or any authorised dealer. Filling an amnesty confidential form, Dr Mangudya said, was meant to promote financial accountability. He said individuals and corporates who expatriated funds legally would be governed by a new arrangement to promote sound financial administration. “The administrative arrangements will also apply to legitimately expatriated foreign exchange and assets,” he said.